A turntable is often the choice for many classical lovers right now. But let’s get a short brief on what actually is a turntable. 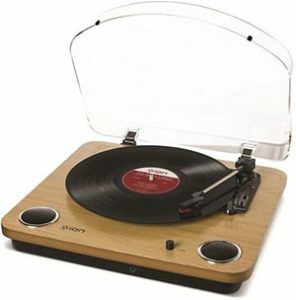 There is something called a vinyl record player which also has a stylus that plays the music on the disc. But a turntable literally means the table that turns the disc and that is exactly what a turntable does. It has zero functions next to playing a vinyl and you have to attach it to a speaker. This is now the better choice because you can play high-quality music on a good speaker and amplifier of your choice. Not to mention that the developers are more focused on crafting a quality turntable that won’t wear down the vinyl as fast. Turntables at the cost of under $100 don’t mean that you are buying a super cheap, low-quality player that only works well until the third turn of the vinyl disc. It’s going to help you a lot to check out “Things to Consider Before Buying a Turntable Under $100”. There you will be given a guide to check on what makes a turntable under $100 still of higher quality. 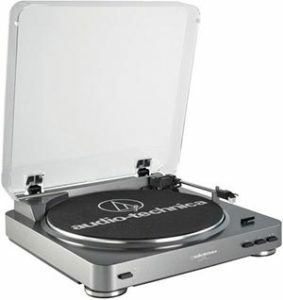 The Audio-Technica AT-LP60 easily made it into our list of best turntable under $100. With the ability to work on 33-1/3 and 45 RPM, you will be able to turn most of the vinyl records available. It comes with a dust cover and diamond stylus that has a mechanism that allows precise cueing for the stylus. It also comes with RCA output cables that’ll allow you to connect to audio systems and an amplifier. While this version cost slightly under $100, there is another exact same version that has Bluetooth integration system installed. It allows people to use their Bluetooth speakers instead of getting a new pair of speakers with wired input. Dustcover: It comes with a dust cover that can be detached and protects the component from dust when not in use. Soft and gentle: The most important part of turning a disc is the needle that falls onto the disc. The needle automatically falls gently on the disc, prevent the typical hard scratch you get when a needle is dropped too hard at the beginning of the turning. Anti-vibration: The platter of the turntable is designed with die-cast aluminum and anti-resonance to minimize vibration and ensure a smooth music experience. The belt drive is also designed to properly isolate vibration. Wide connectivity: Allows you to connect the turntable to speakers and amplifiers of your likings with RCA output and enhance the quality of music. Cons: The turntable cannot work with 78 RPM option meaning that you won’t be able to play your vinyl records that require that setting. 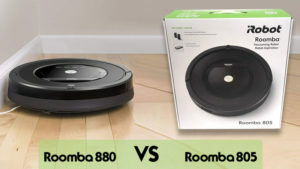 If you choose to exceed your budget and purchase a Bluetooth version, you might find yourself in frustration trying to connect your speakers to it. Plug in the Jensen JTA-230 and you’ll see how the best turntable under $100 can amaze you in a few minutes. Not only packed with the ability to play records from 33, 45 to 78 RPM, it has all sorts of features that people will find useful. It requires a power socket to plug in, has a USB port for file conversion and RCA output system as well as a headphone jack. This turntable is more similar to a record player as it also comes with a built-in speaker, although it is not of the best quality. People are more advised to use it as a turntable and plug it into a better pair of speakers. Built-in speaker: For the people who cannot be bothered to buy new speakers, this turntable comes with it. Versatile: As the need can properly play all vinyl turning at 33 1/3, 45, and 78 RPM, allowing all those old records to come alive again. Convert music: Because some of the oldest records won’t last longer than a few plays, so you might want to salvage them by converting those songs into MP3 on your computer with a USB connector. Adjust to your liking: It has built-in adjustable tone, volume and control of the songs, allowing you to listen at the right volume depending on the moment. Dustcover: To protect the whole system from dust when not in use. Cons: It tracks heavily, making thick, new vinyl records these days sound horrible at times. The solution is to lift the needle when playing such songs to prevent it from scratching too hard on those records, but that is not a permanent solution, obviously. The Pyle PLTTB1 comes with an S-shaped curvature of the tonearm. For the lots of you who have personal preferences towards tonearms with bents, this is the guy for you. 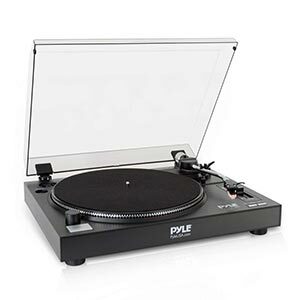 With the discount Amazon gives you, Pyle is priced right below $100 and is perfect to anyone who is just about to enter the world of vinyl records. Or just play an old LPs you had! The turntable comes with the jacks and adjustable pitch control. It playbacks records at 33 1/3 and 45 RPM, everything a new classical enthusiast needs. S-shaped tonearm: For the people who want a better music for their song and possibly long-term records durability! Strobe light: Helps you adjust the speed of the table by illuminating outside-edge markings easily and more accurately. Anti-skating: To prevent the needle from drifting in too fast, causing noise distortions, skipping and preserving the records. Cons: It is more of a manual turntable with no automatic system on the stylus placement, so you have to move it yourself. It also doesn’t have an inbuilt amplifier or speaker, making it solely focused on turning the records and you have to plug in everything. The ION Audio Max LP is one of the best turntables under $100 that we just can’t stop loving. First of all, appearance-wise, it looks very classy and professional. It gives your house a little more than just a cheap turntable in the corner! But it doesn’t stop there. It has a built-in speaker, which makes it more of a record player, but also audio jacks for those who want to use their speaker and/ amplifier. Playback records of 33 1/3, 45 and 78 RPM. Elegant finish: The design uses a natural wood finish that makes it look classic and a great piece of décor in the room. Built-in speaker: For the people who cannot be bothered to buy new speakers, this turntable comes with it. And we have to say that the speaker is pretty decent for a built-in, although we still prefer plugging in external speakers and amplifiers. Cons: Straight tonearms haven’t been a complaint in other products, but here, it seems to be slightly weighted too much. Not too heavy to the point that it is making rough grating noise or causing distortion to the music, but we fear that this will wear off records faster in a very long-term use. Vintage lovers may scream in excitement over this particular turntable because of look at it! 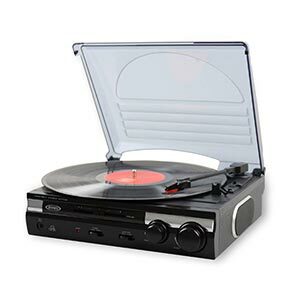 It has the design that will bring you back in time when record player was a thing. What else could you ask for? A radio? Don’t worry, Victrola’s 6-in-1 includes radio FM for you who just wants to listen to the radio talk like the old days. 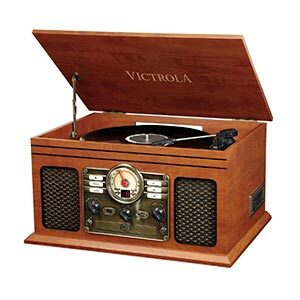 The Victrola set comes in as a vinyl record player, CD player, FM radio player and also a cassette tape player. It allows an easy Bluetooth connection that any parents can easily deal with as well as AUX, RCA and headphone jacks for all your preferences. Although for the radio, you may have to check the signal and frequency because it can be significantly different for each are. Multiple capabilities: From being a radio, CD player, cassette tape player to obviously a vinyl record player, this box of vintage magic is something every vintage lover cannot miss. Easy Bluetooth connection: Means you don’t have to try deleting your list of saved Wi-Fi connection, turn on and off the tape for the 10th times or spend 30% of your phone’s battery to get things to work. Wide connectivity: Allows you to connect to your headphones or a speaker with its RCA and headphone jack. Cons: The player doesn’t have exactly the best speaker, but it’s under decent. For the elderly, they may get used with the sound and will not mind it, but if you are used to high-quality sound, you should plug it with a speaker instead. The volume itself is decent and there’s no need to crank it up high in most situations. After you found an old record in the attic of your grandpa’s house, it seems like the right thing to get something to listen to what’s in it. There is something about classic things such as vinyl records and vintage things that seem to steal a place in each of our heart. But it’s not enough to make you spend $5,000 on an expensive player. But at the same time, you cannot be made to spend a hundred dollars on something that might not work. You need to know that you are looking at the right thing that will not risk scratching your record nor will it screw your ear. DustcoverRPMAudio jackYour own speaker/amplifier!Reliable speakerDurabilityCustomizationAutomationNot a DJ scratcher!Read the reviews! As unimportant as it may have sounded, a dust cover is an extremely an important part in caring for your turntable. Dust that piles up on the table can cause uneven surface, causing distortions on the noise, uneven scratch on your record and weariness of the needle. Most turntables provide 33 1/3 and 45 RPM for the usual vinyl records and LPs. But some people also need a turntable that does 78 RPM for certain records. It’s less common to encounter a cheap turntable that does 78 as well, but it’s not rare. As a turntable is usually not equipped with a built-in speaker, it needs to have the necessary output jack and better come with the cables. A typical turntable doesn’t come with a built-in speaker, so you have to have your own speakers! Most of them do come with audio jacks to plug into the speaker that you have. Because like mentioned before, a turntable needs a speaker for you to be able to hear what is played and some good ones let you plug in amplifiers and speakers both for optimal sound quality. As with any other products that are built with low materials cost, the durability of turntables under $100 will not be the kind that works great after 2 years. Some may not even pass one year, because many parts of it are sensitive to even the slightest movements or changes. If you are that type of vinyl enthusiast who wants full control over every part of the turntable (or the record player), you may not get them all from a turntable under $100. Most of the turntables have an automatic system, for example, you cannot control where the stylus will fall. But if they do, you can always adjust your stylus every once in a while, to prevent it skating or weighing too much. As opposed to customization, has everything works automatically for you. You don’t have to manually drag the stylus and it will fall correctly for you. Most of the time. Some people dislike automated stylus movement because they want to be able to configure it and, like people that love to mod their cars, they want to mod their turntables as well. Obviously, because they were not designed for it and especially the ones with a bent stylus, are not good for scratching records. Each turntable has its own weaknesses, such as unable to play newer versions of LPs, having a straight tonearm (as it’s not to the liking of some people), etc. 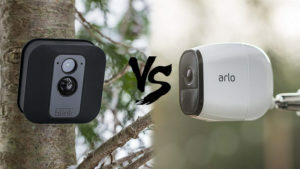 Reading a constructed review such as ours in comparing not just one or two, but five different brands will show you how each of them can be a better choice for you personally! What is the difference between a turntable and a (vinyl) record player? If you have been reading, you might have been getting the impression that a turntable is similar to only a part of a record player. Yes, that is true. A turntable literally means only the turning part of a record player, however, it has the stylus and various jacks included as well. 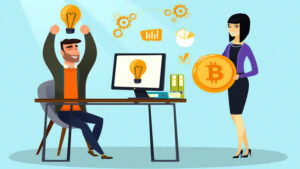 As of these days usage, many people use the two terms interchangeably while others still stick to the original meaning. Is a turntable better than a record player? The first record player dates back to mid-1800s and if people were to sell only the turntable, people will call you as stupid, no other way to go about that. But in the 2000s, everyone has a speaker that can be plugged into anything with an audio jack, especially because the jack is universal. A turntable becomes a better choice because built-in speakers of record players aren’t exactly the best speakers. Classic lovers can prefer either because turntable is more important and the built-in speaker is considered as a bonus, as long as it has an audio jack. If it can play the records properly with precise weight and speed, none is better than the other because it’s specific to each product. Is a turntable supposed to wobble? Being cheap isn’t the same with bringing home a garbage to play your antique LPs. No, you shouldn’t be buying a turntable or a record player that wobbles. Our best turntable under $100 list include only the ones that are stable when used and keeps a quality classical experience for you. There is also a possibility that it is not placed on an even or stable surface, so make sure that you chose a firm shelf or table that doesn’t easily move and out of human/children traffic. Use a pad to damp movements under the turntable or record player if necessary. Check your vinyl records to see if they are warped as it may not always be the player’s fault. Keep them in a vertical position to prevent warping. I have distortions/skipping/all those ear-killing noises with my new player! What happened? There are many factors that could be affecting it. The first problem that many people may assume is the product’s problem. But that has to be your last solution after trying everything else. As mentioned before, check your record to see if they are warped or bent in any way. Have they been used a lot before? Check the table and see if it’s even or warped. Next would be the needle, which is delicate and sensitive. The placement of the needed will affect the sound/music that you listen to and the durability of the record as well as the needle. It can be quite confusing at first but spend some time to learn the adjustments and you’ll be good to go without having to resend it to the manufacturer. Tonearms that can be adjusted to perfection will keep your records safe and lets them play for longer. If it’s weighed too much, it will scratch the records and if it skates, it will potentially create scratching marks on the record. Adjusting the tonearm is necessary to have the perfect music experience with your record player. If the tonearm cannot be adjusted, it could be because it was never built to play that kind of vinyl. Note that older records are thinner and newer ones are thicker, so check the product’s description well. Do turntables under $100 hold on for long? It’s the question we know everyone asks. But one thing everyone should always remember is that how long things last depends on how you use it. It’s best that you learn how to care for a turntable before buying for one. It’s also important to look at the materials of the turntables and, truth to be told, under $100, most turntables don’t hold up for years. It’s also why purchasing from Amazon is a good choice as you can get a replacement or refund within the valid period. However, the turntable will still be able to play songs perfectly fine during the time and because of the price, is actually a good way for new enthusiasts to explore turntables and vinyl records. 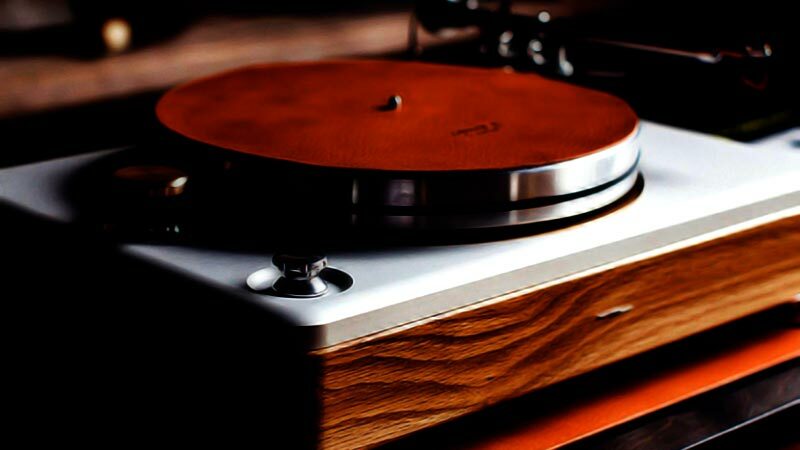 You can then begin to explore higher-end record players and turntables as you learn the components and ways to configure and care for them. If you are not someone who is used to knowing classic instruments such as a vinyl player, it’s common to get confused with so many options in the market. You read through the reviews and each of them has both good and bad ones. The company tends to say good things about their own products and then there are times when the rough delivery process is what caused the damage. 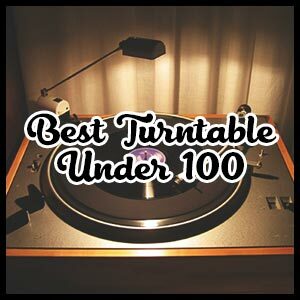 Our review chooses 5 best turntables under $100 and thoroughly explain why they are better than the others. We believe that every buyer can know a thing or two from this review and find a turntable within the budget that will relive that old memory you have.